Book Dragon's lair: I almost missed this! I'm just going to continue to work on my list for Dewey's RaT and R.I.P. I have three books coming next week and I added six new ebooks to my reader so it isn't like I don't have anything to read. The problem is too much! 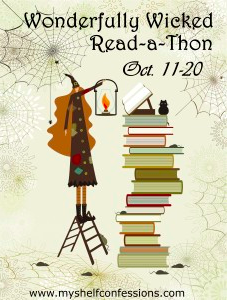 You are rocking the readathons!